T-flex pipe systems are designed for many pressure and non pressure applications such as water supply and distribution, compressed air, chemicals, hazardous wastes, utility, slurries, marine, mining, and agriculture. T-flex pipe systems offered by Dadex are manufactured from polyethylene (PE) compound. That is why T-flex provides professionals an option to choose the best system for the most demanding projects. T-flex pipes have excellent abrasion resistance, superb impact resistance, and extraordinary toughness. These pipes are resistant to a broad range of corrosive chemicals; they do not support biological growth, and resist the adherence of scale and deposits. 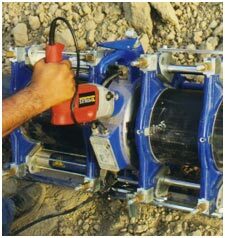 Dadex currently manufactures PE pipes for Water Supply and Distribution, Gas Distribution, Cable Ducts, and Other Applications.